Not merely content with holding this year’s position as the least business-friendly state in the nation, or ranking dead last for business tax climate, or even being named to the Top 10 list of states that Forbes considers to be in an economic “death spiral“, New York is showing once again that they remain unwilling to rest on their laurels, finding new ways to drive businesses away from the Empire State in droves. The latest tactic? A proposal by the Thruway Authority to enact a massive 45% toll hike on trucks – a concept that would cripple the trucking industry, pass costs on to consumers, and increase safety hazards while tangentially creating untold problems for the state’s highway infrastructure. All the while referring to the plan straight-faced as a “modest” increase. State Assemblyman, and vocal opponent of the plan, Steve McLaughlin, tells FreedomWorks that referring to the toll hike as “modest” is simply dishonest. McLaughlin, explains that the plan isn’t simply an economic burden on truckers and businesses alone either. “It is nothing more nor less than a massive tax hike on the people of NY,” he said. The goal of the “New York Open for Business” initiative is to promote the many assets of investing in New York so the state can regain its reputation as a business-friendly location. While the state itself may be open for business, the Thruway Authority is apparently trying to make conducting business as difficult as possible. 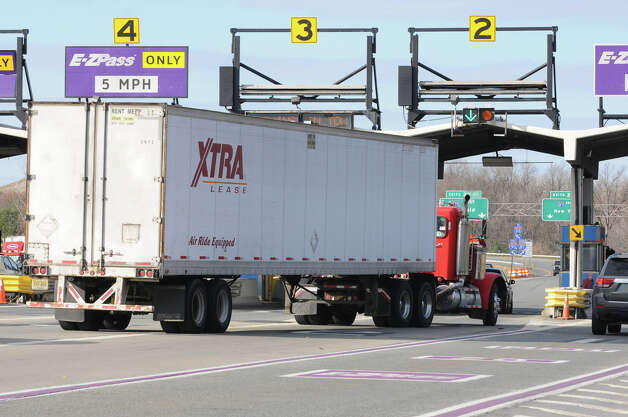 The New York State Motor Truck Association insists that a 45 percent toll hike would cripple some firms and most assuredly result in trucking companies and their clients passing along the cost of the toll increase to consumers. Or some truckers could decide not to take the Thruway, cutting into the anticipated revenue stream. McLaughlin also notes that a business decision to avoid the Thruway would create less-noticeable issues for the state. “This action will lead to greatly increased wear and tear on roads that were not designed to handle big rigs, which in turn will result in increased cost’s to localities and the state to maintain those roads,” he says. McLaughlin summarizes the impact, stating that the 45% toll increase on trucks “would be a disaster across the board”. On this, there seems to be some bipartisan pushback against the Authority. Most notably, a former supporter of the plan in Governor Cuomo, is now referring to the possibility of a toll hike as “detrimental”, and urging officials to “get creative” in their efforts and avoid raising tolls on the 570-mile highway. While some would see such a shift by the influential governor as damning to the Thruway Authority’s plan, McLaughlin says the fight is far from over. Can a state ranking dead last in business-friendliness currently afford a toll increase that would devastate businesses and consumers alike? Certainly not. And certainly not now in this economic client. McLaughlin is urging Mental Recession readers to take action in the fight against a New York State Thruway toll increase.